It’s my greatest pleasure, on behalf of the Organizing Committee, to welcome you to attend the 5th India Nuclear New Build Congress, which will take place in Mumbai, India, during May 15-16, 2019. 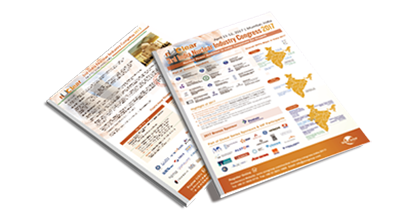 India Nuclear New Build Congress 2019 is one of the most recognized and best established nuclear industry conferences in India, focusing on NPPs both under construction and proposed. The event will discuss topics like National Policy, International Collaboration, Nuclear Partnerships, Nuclear Liability, Financing & Risk Management, Projects Updates, Reactor Technologies, Supply Chain and Fuel Cycle. 22 nuclear units currently provide India with 6219 MWe of generating capacity, producing about 3% of its electricity in 2017. India has planned to reach 22.48 GWe Nuclear Capacity by 2031 through domestic and international cooperation, which accounts for 5-6 percent of the overall energy mix. In India, 7 nuclear units totalling 5400 MWe are under construction. Construction is planned to begin on 19 further units within the next few years, including ten indigenously designed PHWRs which are scheduled to start up by 2031 as well as reactors from overseas vendors. The congress in Mumbai aims to bring together representatives from governments, regulators, utilities/operators, reactor vendors, EPCs, consultancies, nuclear fuel cycle companies, insurers, technology & service providers and other organizations to address cutting-edge issues and emerging trends which affect and even lead the Indian nuclear industry. It is a "must-attend" for anyone who wants to stay current and on top of industry trends and developments. Meanwhile, for those who are keen to find new investment opportunities or strengthen their presence in India, our two-day event will also provide a cozy platform to meet your future partners. We are looking forward to seeing you in Mumbai! In the event brochure, you will know that the 2-day conference this year will focus on New Nuclear Projects and Supply Chain Opportunities.